When it comes to improving performance, what sets apart virtuoso performing artists, master craftsmen, dedicated athletes and the military from your sales and business development people? In a nutshell, the former wouldn't attend a training session for a couple of days to be made aware of some new techniques and expect, straight away, to achieve long-term mastery, discipline and application of their new skills. That however is exactly what most sales "training" programmes, even the most respected and widely-known ones, offer. In fact they have a fundamental limitation; that leaves Senior Executives and those charged with Sales Force Effectiveness frustrated in terms of sustainable performance improvement and a tangible ROI. The shortcoming is that they take little or no account of performance psychology and the way in which performers most effectively improve their skills and, transform behaviour. True performance improvement requires the performer to explicitly practice their skills, day-in, day-out. It requires coaching and positive reinforcement to keep skills fresh, focussed and improving. That's where the Triple E High Performance Value Selling® discipline is different. Our powerful blend of performance psychology, fundamental sales skills (focused on uncovering, creating, articulating and trading value) and high performance tools represent a unique combination. As such, the Triple E High Performance Value Selling® discipline represents a "game-changing" approach for achieving permanent improvement in sales performance, commercial robustness and value delivery. High Performance Value Selling® underpins every programme that we offer to our clients. Whilst every principle, tool and technique within our programmes is constantly being reviewed and refined to ensure simplicity, quality and productivity, this programme is not for everyone. Those looking for a "silver bullet" or "magic wand" solution will find little comfort. Our programmes come with a serious message of working both harder and smarter. Perfect for the ambitious in pursuit of world-class performance, but a "health warning" for the faint of heart. Over the years, we have developed a suite of modular programmes that respond to challenges faced by many businesses. These signature Triple E programmes - based on High Performance Value Selling® - have an immutable architecture of their own including a core set of tools, but which are customisable to reflect the use of your organisational language, existing tools and processes and shades of emphasis dictated by your context. Our programmes are characterised by the use of self-assessment tools to allow participants to evaluate their performance improvement as they move through the modules. They also feature extensive opportunities for practicing tools and techniques. These "Practice Sessions" are a serious and intense aspect of the group coaching experience and fundamental to faster learning. You can access additional group coaching support provided in the form of our 1-hour Workout Sessions or 2-hour Accelerator Sessions that take a single focus from a programme and work that aspect intensively. High Performance Value Selling® PowerUp – Primary Sales Skills –The basics of sales and understanding the impact of different sales approaches on the customer in order to design the most appropriate sales behaviours for your current situation. Includes a focus on presentation skills and understanding and influencing customers. 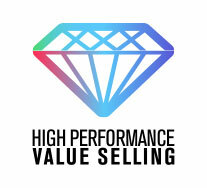 High Performance Value Selling® PowerUp – Advanced Sales Skills –Developing competency in key skills in helping customers to buy what they value. Includes a focus on pipeline development and call planning with intensive practice sessions. High Performance Value Selling® PowerUp – Negotiation Skills –A practical focus on negotiation skills building on previous modules to establish proficiency in core selling skills. High Performance Value Selling® – TuneUp – Stress-testing selling skills in a competitive environment to simulate the pressures of real-life with extensive coaching inputs and feedback. Introduction to Consulting – A sense of what consulting is fundamentally about and the skills and behaviours involved with a focus on questioning and listening to uncover value. Consulting Skills Level 1 – The consulting model and the concept of consulting styles, practice in using the tools for effective client meeting preparation and questioning and listening skills in order to influence and lead client thinking. Consulting Skills Level 2 – Experience in developing the skills of an interactively competent consultant with a focus on verbal behaviours, collaboration and negotiation with simulation of customer interaction and intensive video feedback. High Level Consulting Skills – Disciplined use of specific tools for high performance in consulting including Value Innovation, Stakeholder Management and Risk Management. Fundamentals of Strategic Account Management –Establishing what is understood by Strategic Account Management and the implications for skills, attitudes and behaviours for successful interaction with customers and provision of the tools for supporting high performance against a clear set of expectations of the role. Strategic Account Management – TuneUp –Deepening skills around account penetration through multi-level relationship development and drilling skills, behaviours and attitudes, with a focus on negotiating value, in a life-like scenario with live feedback (verbal and visual) with coaching inputs. Innovating Value in the Strategic Account –Introducing tools to deepen the strategic contribution made by the account manager in leading the thinking of the customer and practical application in an intensive simulation. High Level Strategic Account Managements – Providing Senior Strategic Account Managers/Directors with the tools to manage and lead account teams at a high level of performance whilst improving the effectiveness of relationships and engagement through understanding of Emotional Intelligence, improved commercial acumen and professional and effective management of organisational politics.